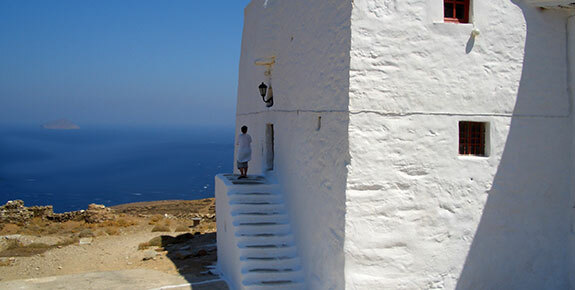 On this page you will find information about beaches, sightseeing and attractions in Serifos Greece. 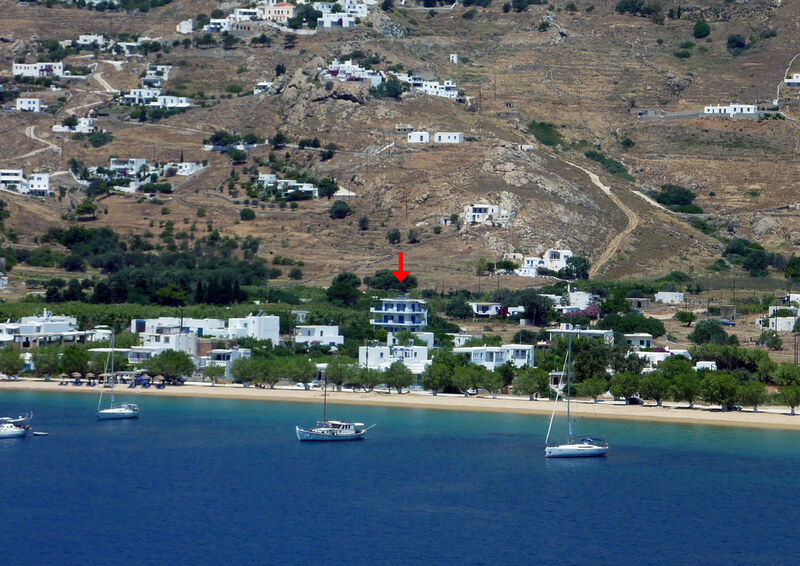 We also provide you with a map of Serifos so that you can find the exact location of Villa Niki Hotel as well as useful phone numbers and Serifos vacation and travel information to plan your trip to Serifos in the best possible way. In Serifos you will discover an awful lot of beaches, more than 70, for a relatively small island. Their crystal clear waters and sandy beaches lined with tamarisks are the perfect setting for swimming, sunbathing and socializing, yet if you are looking for an intimate place to soak up the sun in romance there are perfect remote coves for just the two of you. Some of the most well-known beaches in Serifos are the Avlomonas, Livadi, Livadakia, Kalo Ambeli, Lia, Agios Sostis, Psili Ammos, Ganema, Koutalas, Vagia and this is just a small sample of all those beaches you can discover in Serifos. Get hold of a Serifos map and check them out one by one. If you like walking, you will definitely adore Serifos with its quaint foot paths passing past windmills and its cobbled narrow streets ideal for nonchalant evening strolls. In Chora you can also admire the impressive castle ruins in Chora, the Archaeological and Folklore Museum and the preserved Cycladic architecture of Serifos houses. You can also visit a cave in Koutalas, as well as Gria Castle and the White Tower of the Hellenistic Era. 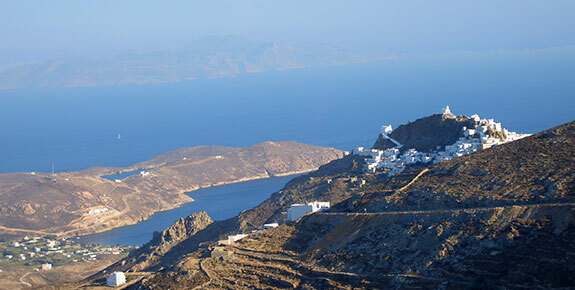 Serifos Island can be reached from the port of Piraeus by high-speed boat or ferry boat. The trip lasting from 2 ½ hours to 4 ½ hours depending on the type of ferry you select. For further information concerning ship departures and ferry tickets check out the links and telephone numbers below. 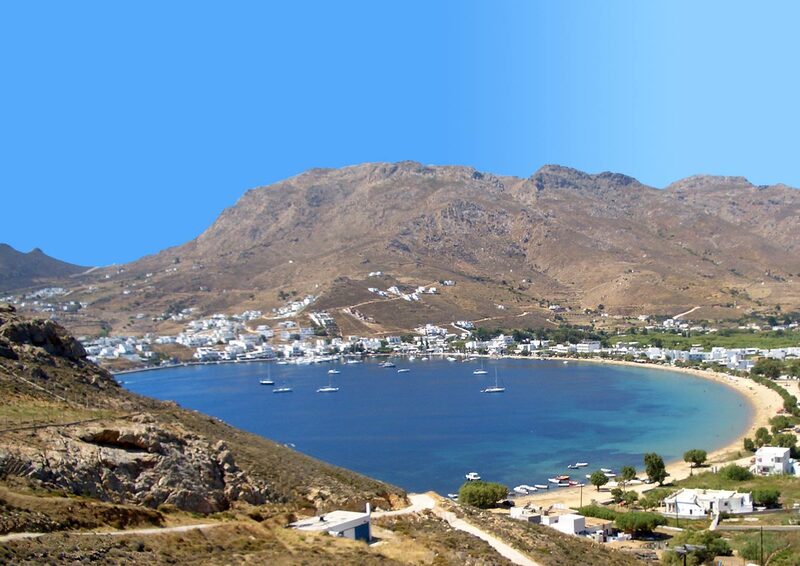 Serifos Island is connected to other Cycladic islands so if you are travelling to Greece and want some island hopping call the local port authorities or visit the links below to view timetables for boat departures and book your tickets online.